Remove neck and giblets from the chicken and discard. Pat the bird dry, then rub it with the oil, salt, pepper and your rub of choice. Crack open a Del’s Shandy and take a few swigs. It’s good for ya. When you’re down to about half of a can, remove the tab and place the can on a flat surface. Place the bird on top of the open can so that the can sits upright inside of the bird. Move the bird (with the can inside) to the grill so that it sits up in the same position. Try positioning the legs so they act as a tripod with the can. Grill chicken in upright position on mid-high indirect heat (no not place coals or activate burner directly under the chicken). 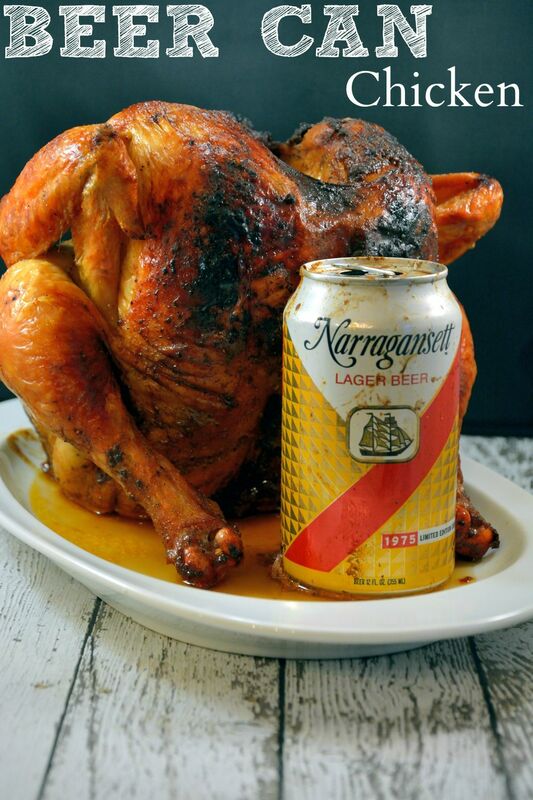 Beer will steam and foam from can while cooking, forcing flavor and moisture through the chicken. Grill until internal temperature reaches 165 degrees in the breast and 180 degrees in the thigh. Let rest for 15 mins, remove the can, and serve it up! What goes better with a clean fresh lemon flavor than clean fresh herbs and spices? See what we’re doing here? Combine the above with the salt and black pepper mentioned above and rub all over the bird. Simple, right?